Two of Garry Disher’s seminal collections of fiction, collected together for the first time. If you love Garry’s literary fiction or crime fiction, his longer or shorter works—this collection has it all, and usually all at once. 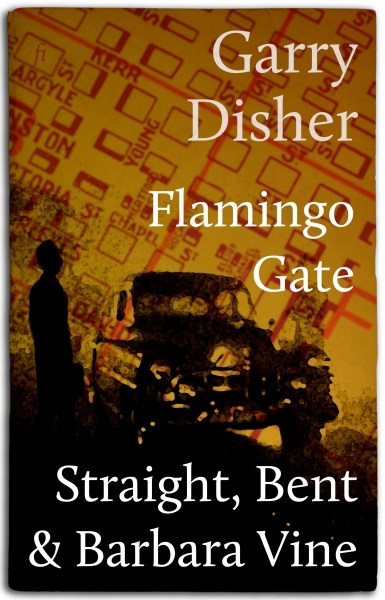 Flamingo Gate · Melbourne in the last decade of the millennium feels like a hard-boiled fiction or a noir film, with corruption in the air and on the ground. Six short stories and a novella circle the city's decay, spiral towards a thrilling conclusion and fuse into a new kind of crime fiction. Straight, Bent & Barbara Vine · There are three ways to play a crime story. You can play it straight, making the most of the conventions of the genre. You can bend the conventions and the genre itself all the way around. Or you can take the genre deeper into the human mind and soul. These dozen stories play it every way there is, and they're like nothing you’ve ever read.